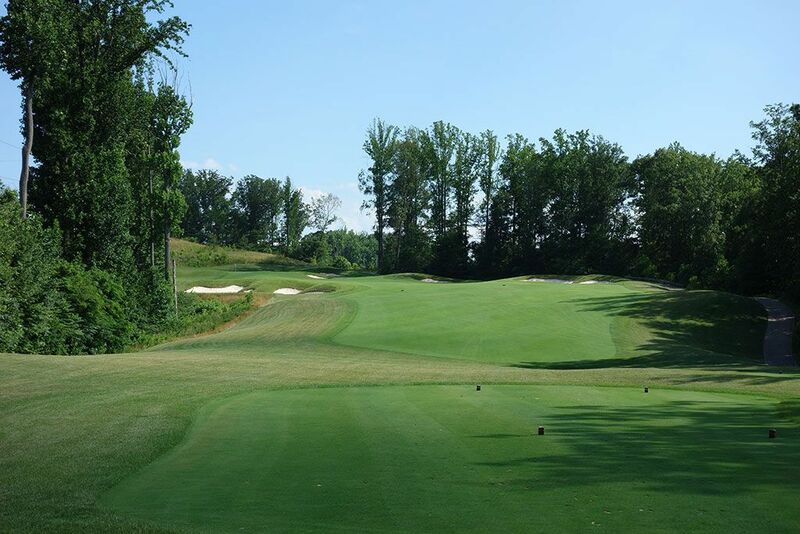 Course Website: Official Website - Visit Potomac Shores Golf Club's official website by clicking on the link provided. 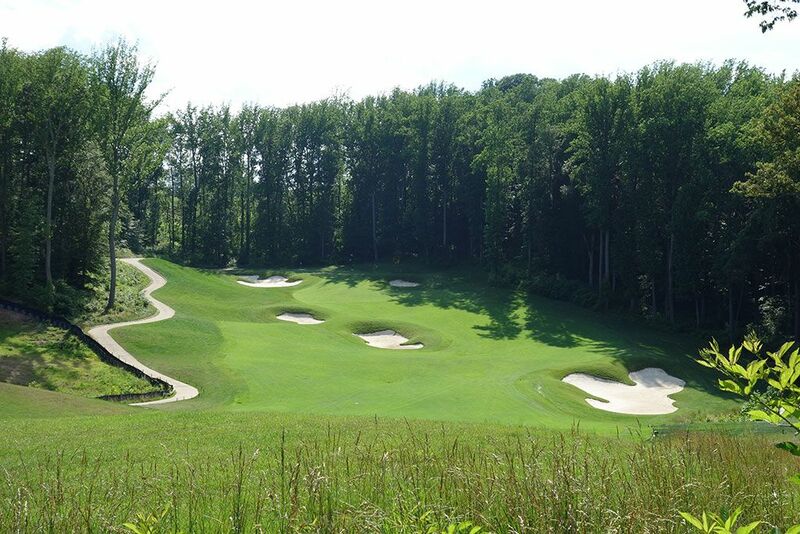 Accolades: Ranked 8th in Virginia on Golf Course Gurus' Best in State list. 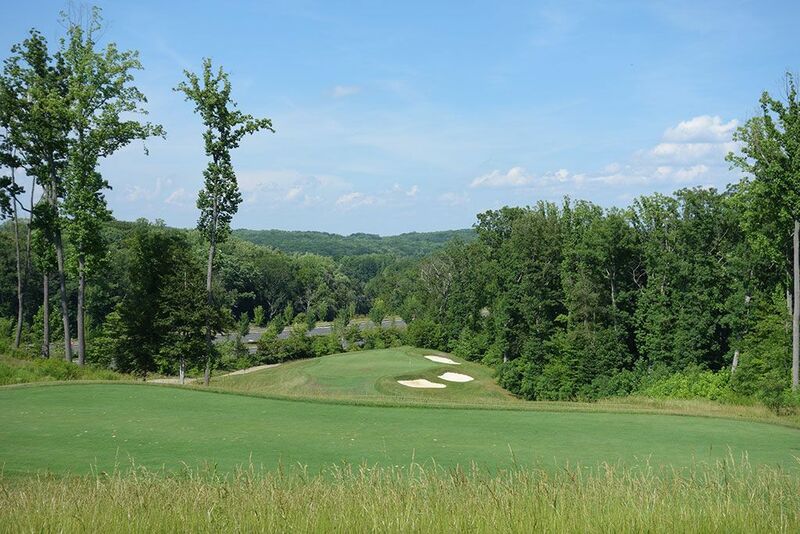 What to Expect: Potomac Shores is part of a master community 30 miles southwest of Washington D.C. that boasts 2,000 acres characterized by mature woodlands and major elevation changes along the Potomac River. Though views of the river aren't available from the course, the elevation changes throughout the property exceed 200 feet which sets up for some dramatic holes; none more so than the par four 9th and par five 10th. 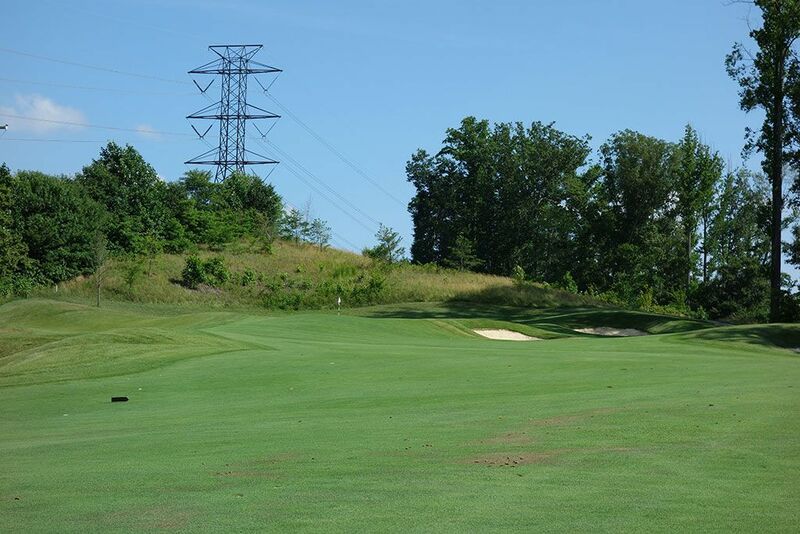 The course originally began construction in 2006 and was going to open in 2008 but the recession pushed plans back until the course debuted in 2014. The newly constructed southern style clubhouse is attractive and acts as one of the subtle highlights of the club. On the flip side, the turf conditions are lacking which is likely due to the extreme nature of the routing, lack of necessary funding to maintain a full bentgrass course, and the sheer number of large bunkers to keep up with. The routing prevents anyone of sane mind from considering walking the course and even playing the course during a cart path only day would be more work than fun. There has been a clear change in how Nicklaus has designed greens since working with Tom Doak at Sebonack and it is on display here again with serious undulations being found throughout the putting surfaces. Lastly, the fairways are quite wide, which is great given the number of elevated tees, however shots that travel far enough off line will likely be lost in the woods forever which can be draining for many players. Signature Hole: 9th Hole – 410 Yard Par 4 – The 9th and 10th holes easily create the best back-to-back combination of holes on the property. Players are presented with a dramatic downhill tee shot to a fairway peppered with bunkers and works its way back uphill into a surrounding of trees. 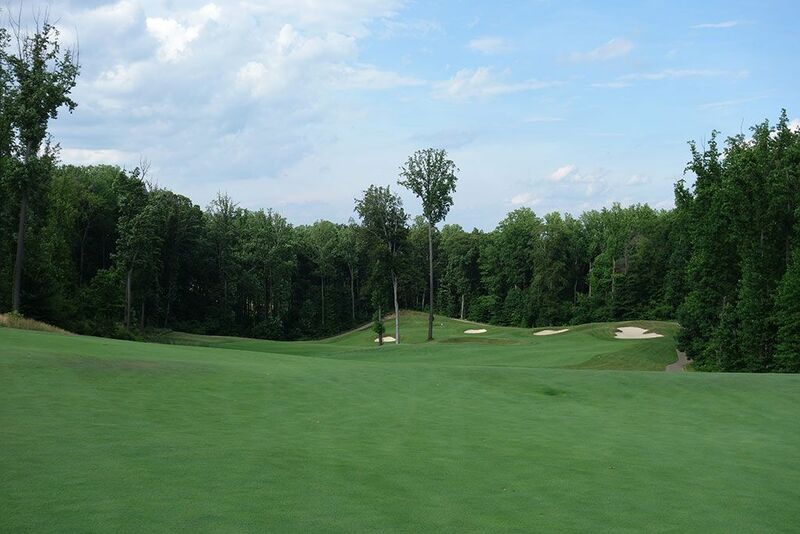 The green is heavily shaded by the towering woods and features some of the most severe putting contours on the course. Listed on the scorecard as the #7 handicap might falsely lure players into a sense of security because there is nothing easy about this hole. 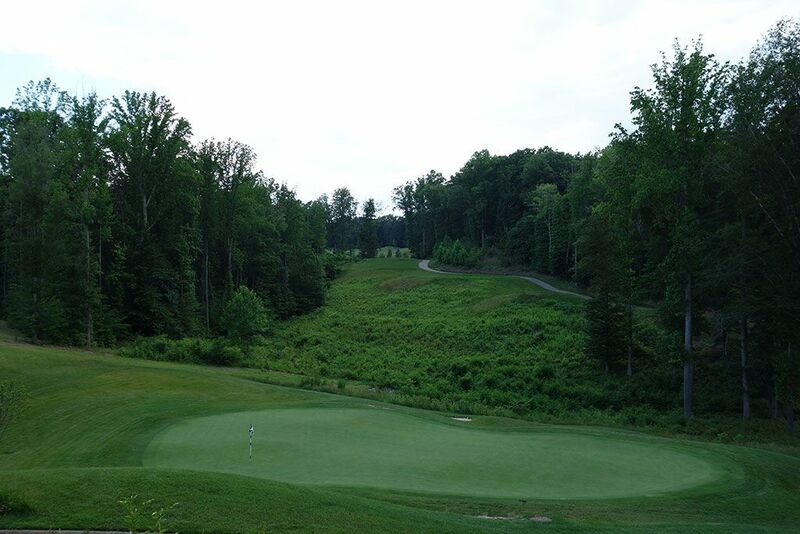 The drama and severe terrain featured on this hole is what Potomac Shores is all about. 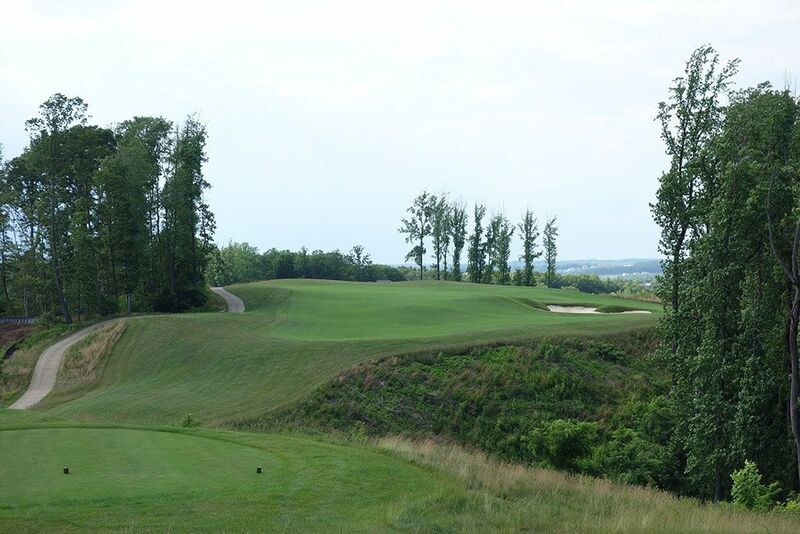 Best Par 3: 4th Hole – 225 Yards – The severe elevation changes found throughout Potomac Shores create multiple opportunities to showcase signature type holes and one of them is found right here at the 4th hole. A huge drop down from the tee to the green creates an exciting shot that will play 1-2 clubs less than the yardage. The large green features a trio of bunkers on the right and trees surrounding the entire hole. The undulated green will create some interesting putts that will be difficult to properly judge. Best Par 4: 2nd Hole – 405 Yards – The 2nd hole plays around a ravine on the right that is further protected by a bunker on the dogleg. The approach shot can make the squeamish pucker as they attempt to carry the ravine that cuts in front of the green while also avoiding the forest of trees on the right. 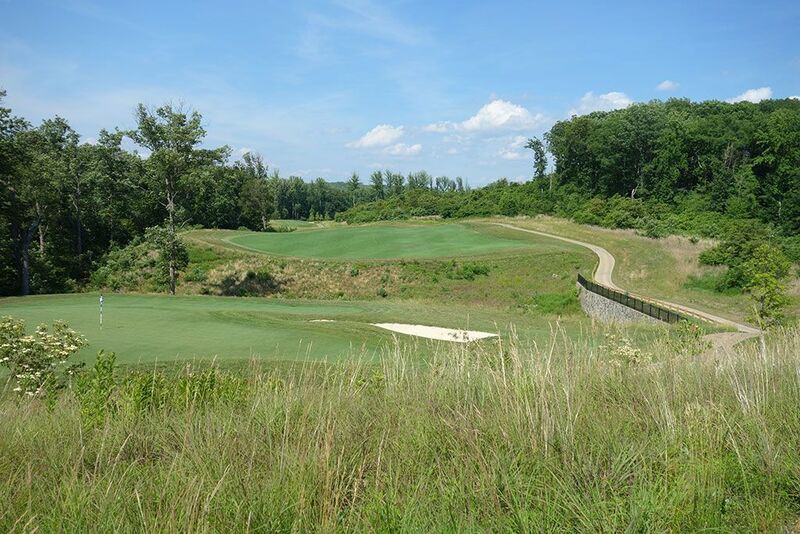 The challenge and terrain presented on the 2nd hole are a quick indication of what Potomac Shores is all about and sets the tempo for the rest of the round. 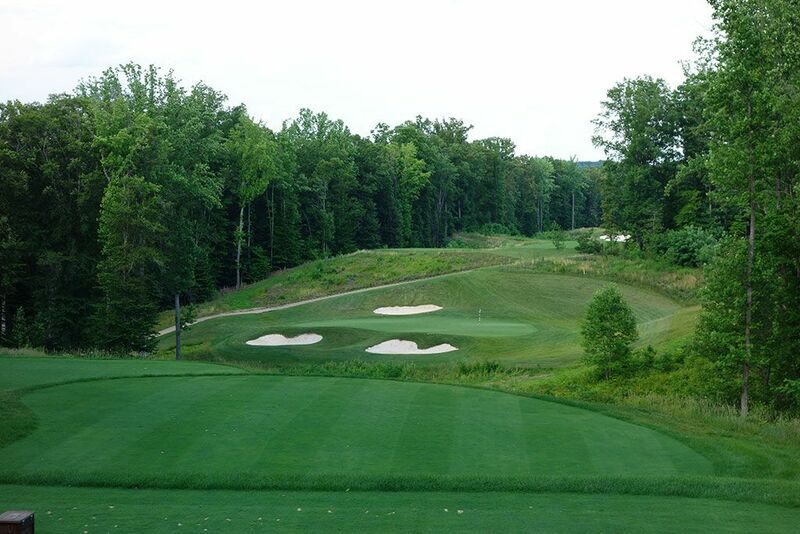 Best Par 5: 10th Hole – 575 Yards – This hole is undoubtedly the highlight of the entire golf course and one of the best par fives in the Mid Atlantic. From the tee the hole seems somewhat unassuming with a wide fairway and a bunker protecting the dogleg on the right. 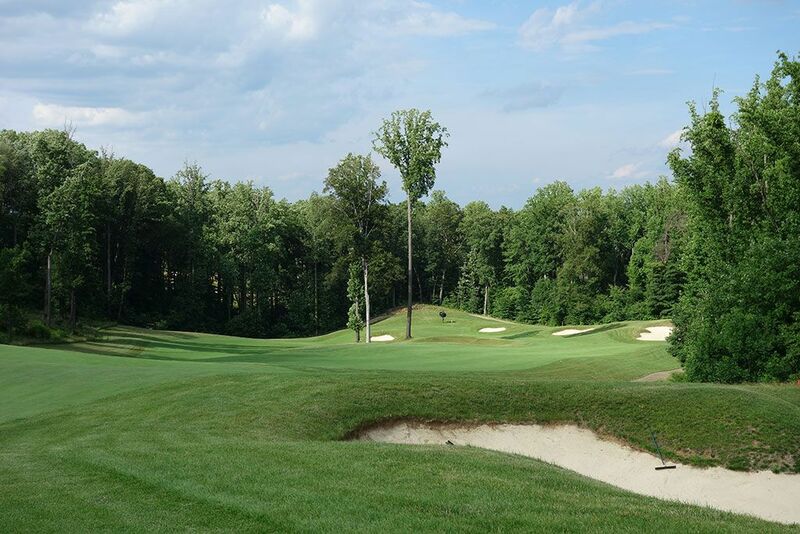 When players crest the hill they are presented with a spectacular view of a fairway that tumbles downhill with attractive bunkering and a pair of menacing trees looming in the middle of the short grass. Taking a rip at this green in two presents one of the most exciting shots available at Potomac Shores and the kind that can leave you with an ear to ear grin afterwards. The surrounding trees create an amphitheater effect that adds to the allure of aesthetics of this impressive hole that you have to experience to appreciate. Birdie Time: 8th Hole – 305 Yard Par 4 – All sorts of temptation exists on this short par four that lures people into making bold decisions. Though the hole measure 305 yards from the tips, some yardage can be taken off of that if you are willing to take a rip directly at the green which should eliminate 25 yards or so. The uphill terrain will make reaching the green more difficult while the surrounding hillocks and bunkers will create some interesting situations around the putting surface. That being said, blasting a ball up by the green will set up an excellent opportunity to get up and down for a birdie. Laying up with a long iron to the right side of the fairway will leave a sub-100 yard shot with a great angle into the green and a chance to throw a dart at the flag. 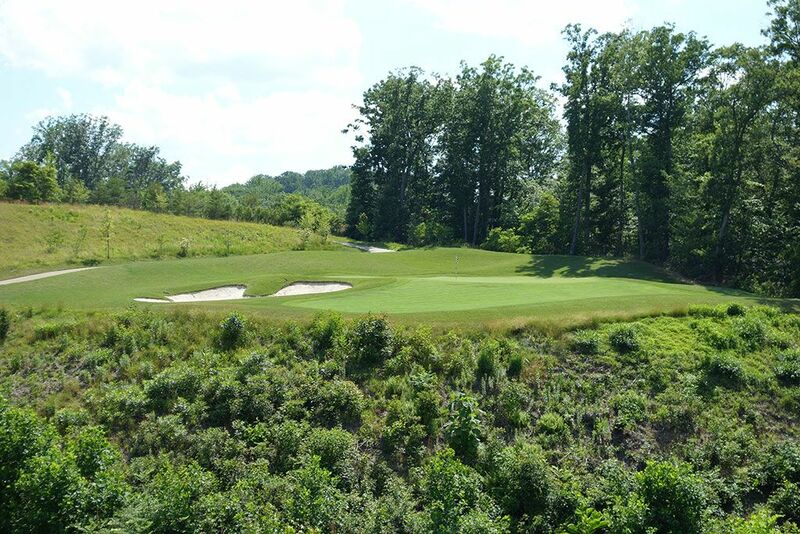 Bogey Beware: 13th Hole – 230 Yard Par 3 – Whoever listed this hole as the 16 handicap on the scorecard needs their head examined, especially from the back tee. This 230 yard beast plays to a green that is surrounded by three bunkers and fronted by a ravine that gobbles up balls faster than the Cookie Monster devours chocolate chip baked goods. The only bail out is to a chipping bowl right of the green where the full length of the green opens up. 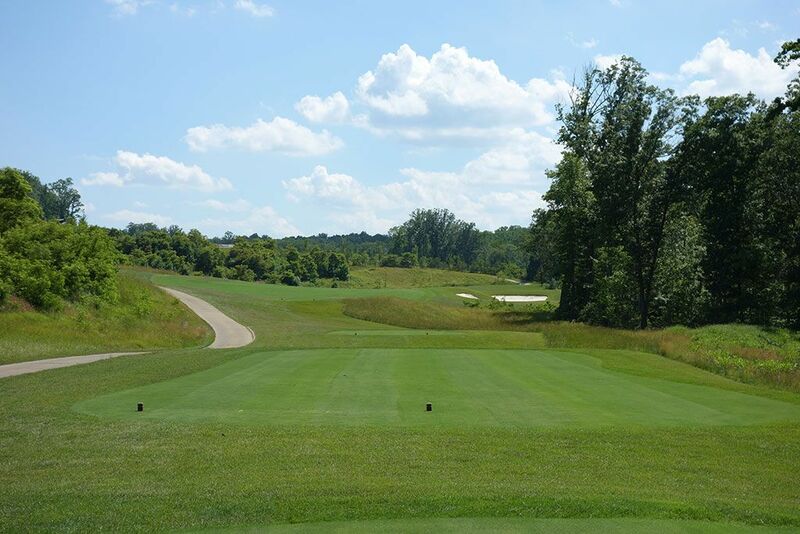 The downhill drop from the tee to the green adds to the difficulty with distance control which is problematic to a green that is significantly wider than it is deep. This is certainly one of the signature holes on the property as well as the most challenging par to card.